The user preferences are changing with time and so, are the technologies too. What was preferred a few years back for web development, is now outdated. Earlier, web application development was all about building attractive user interfaces, but the modern websites are all about creating user engagement. The modern websites are built to engage users with superior and easy experiences. What is Website User Experience and what are Key Criteria for defining User Experiences? Website user experience is about creating easy to understand, useful and user-friendly websites that help users to satisfy their purpose without requiring any help or training. Generally, websites are accessed by the users to extract information, to locate and buy products or services they are looking for, to find a solution to their requirement, to learn about a business and approach them or for entertainment purpose. Whatever be the reason of access, a user will stay on the website or continue browsing it only when he/she gets satisfactory results from it. Website should meet certain usability criteria which can simplify the user’s website access process and provide them with desired results with lesser efforts and time. PHP is the major platform on which most of the modern websites are based. It offers numerous frameworks, advanced tools and technologies to build an engaging website for top-level user experiences. The PHP website development is all about designing customized user experiences according to specific business requirements. There are number of ways through which one can offer excellent user experience through PHP websites. Loading time is crucial and defines the user engaging ability of your website. According to the latest statistics, users will leave a website if it takes more than 2 seconds to load. There are number of criterion like reducing HTTP requests, image optimization, minimize URL redirects and many more things which need to be taken care to enable your PHP website to be loaded faster. Broken links, coding errors and disorganized code at the back end can also be the reasons for a down performing website. Hence, you need to find out the actual reasons that are causing your website to load slowly using tools like Google Page Speed Insights and hence, act on them immediately to not lose out to your competitors who have got faster websites.Instead of getting your hands on all these factors later on, it is the best practice to go with taking care of these things even during PHP website development process. Do you know why the company logo, sign-up buttons and various other important things in a website are located on the top-left corner? This is because this is the highly visible section of your website where the users focus stands on. Our eyes are trained to view everything from top-left and hence, by placing all your important website components on top-left you can ensure that users do not miss out on the crucial things of your business and can even locate them easily. Navigation is an important criteria when it comes to the design of your PHP website. Proper and efficient navigation enables with breadcrumbs can lead customers to their desired page in the website within a few clicks and shortest search time. 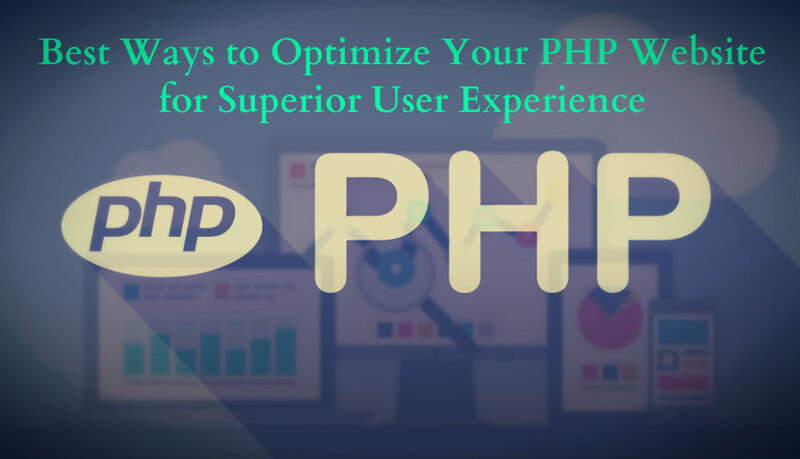 Hence, this uplifts the usability of the website and improves user experiences for your PHP website. A user will not visit your website again if he/she cannot locate for what they are looking for, in your website. Hence, while developing PHP website, make sure you have got the breadcrumbs lightly and neatly placed on all your website pages to enable easy navigation for the users. Creating greater user experience through your website is all about providing users what they are looking for in an easy, efficient and faster way. Great user experiences will lead to more customer engagement thereby improving sales for a business. Hence, do not compromise on the user experience design of your PHP website and engage only expert PHP developers for the best results.